A housing estate consisting of 23 sites. Houses were designed energy efficiently to ensure all living area had a north aspect as well as an outdoor area to the south for summer living. Working with the developer, interior spaces were integrated with the exterior colours and finishes to provide a seamless transition between outside and inside. The light and form of the building dictated the interior colours and finishes. Fashion is an important consideration as most people need a scheme to last 10 years but styles change from year to year. So with a residential development the market demographic can determine the style direction for the next ten years. Three compatible colour schemes were designed for clients to choose from. 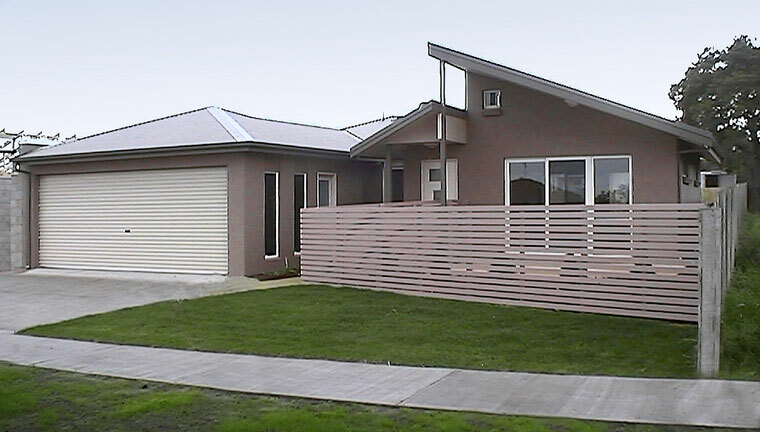 This entry was posted in Architecture and tagged GREVILLEA ESTATE on May 27, 2011 by admin.